This course allowed me to 'inquire within', meaning I had to go deep into myself and ask myself questions I had never raised before. This past weekend I took a huge step in increasing honesty with friends and I've been regularly working on the 'courage' value in terms of facing my fear of public speaking. Identifying & prioritizing my core values took some effort but well worth it. My favourite part was the comprehensive evaluation of our core values/beliefs & repetitive reinforcement of maintaining them in my life. I enjoyed learning about the difference between admiration and envy. I know now that my excuses weren't valid, but at least I can start small and make real efforts. I've started doing one honest action per day. I've started feeling more like me than I've felt in a long time. I've also started stepping out of my comfort zone to live by values of connection and compassion. The most significant step I've taken is starting acting classes, which is feeling amazing. 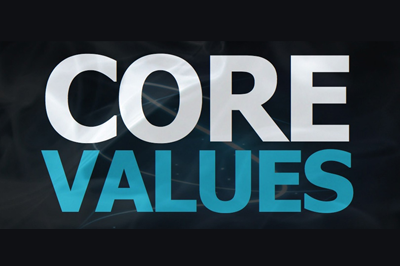 Core values are the different parts of your integrity - a blueprint to what it means to truly be "yourself". ‍In this course you will be taken through the process of identifying what your unique core values are, through exploring the people you admire, the behaviour you wish to emulate, and even through exploring the people you dislike. ‍By the end of this course you will have created a list of 3-5 core values, with clear definitions and examples of what it means to live by them. You will have a written explanation for what integrity means for you, personally. ‍So come with me to explore what YOU are made of, and discover why you sometimes feel guilty about what you do and why you sometimes feel proud of yourself.